Welcome to the first episode of "Bossing I.T. Up!" This is a brief introduction to let you know what this show is all about. Thanks for tuning into episode #6 of Bossing I.T. UP! In this episode I talk about the software and systems you need to have in place to run your small business effectively. Thanks for tuning into episode #5 of Bossing I.T. UP! In this episode I talk about how to plan the creation of your website to maximise its effectiveness in helping you to achieve your goals. Thanks for tuning into episode #4 of Bossing I.T. UP! In this episode I'm joined by John Williams from "Ads Grow Business". 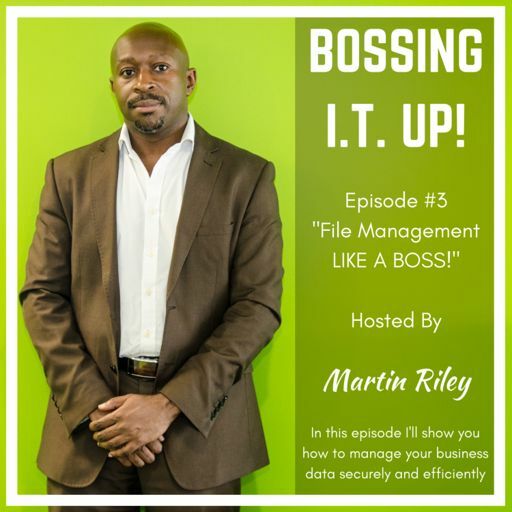 Thanks for tuning into episode #3 of Bossing I.T. UP! Thanks for tuning into episode #2 of Bossing I.T. UP! This episode is all about starting your own consultancy business.